And at a basic level, Shadow does that. The service works, and the experience is surprisingly good… so long as you’re accessing it from another computer. Move to a phone, a tablet, or even Shadow’s first-party Ghost hardware, and things fall apart quickly. That doesn’t mean that Shadow isn’t worth investigating, but it does mean that its appeal is limited to a very specific audience—and that a large portion of that audience probably already has access to a gaming PC. Shadow is cool. But it isn’t living up to its potential, and for lot of users that’s going to mean it isn’t worth a fairly hefty $35 a month to access it. So, a quick rundown of what Shadow is: it’s a platform that allows you to “rent” a high-end Windows machine, virtualized on Shadow’s servers, and accessed remotely from your Windows/MacOS/Linux PC, Android device, or the Shadow Ghost set-top box. The remote machine is fine-tuned to play PC games, with a powerful and dedicated NVIDIA GPU, a super-fast web connection at Shadow’s data center, all streaming to you at up to 4K resolution (or 1080p for 144 Hz speed). That’s a neat trick. 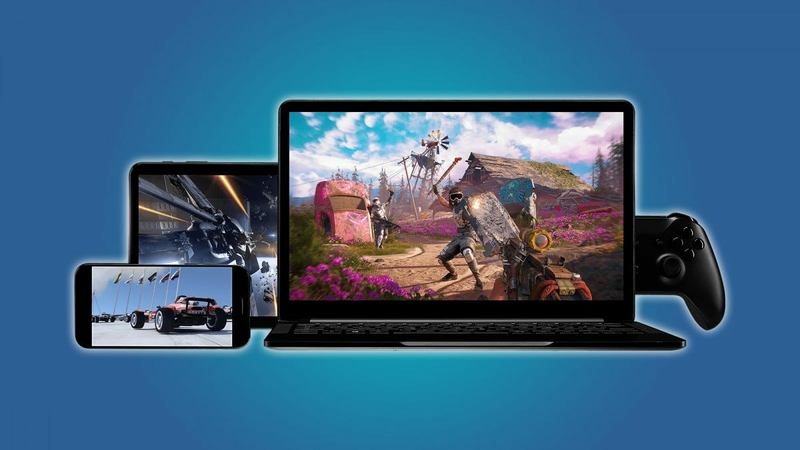 It’s nothing you can’t do with your own home PC and a remote access program—indeed, there are already services like NVIDIA GameStream and Steam In-Home Streaming that do pretty much the same thing. The advantage of the Shadow setup is that it’s in the cloud and accessible from anywhere with a fast data connection, and it’s also managed remotely for optimum stability and speed. If you want a high-end gaming PC without having to build it or buy it, or even store it in your home and pay the extra electricity to run the thing, this is a good way to achieve your goal. That’s assuming that, one, you have a fast enough connection to make the streaming interface worth it (25 Mbps at least), and you’re willing to pay the $35 a month to access the service. A few other technical details. There’s basically no limit on the virtualized Windows machine, and you can install any software you like. Though you can’t change the hardware, it’s fairly generous in terms of specs. Your remote machine’s processor is an Intel Xeon E5-2678, with 12 GB of RAM and an NVIDIA GTX 1080 equivalent GPU (one of the fastest around, though recently superseded by the new RTX models). The virtual storage is a bit tight at just 256GB, but it’s fast, and the data center’s connection is so speedy (700-800 Mbps when I tested it) that you can download even the largest games with almost no delay. 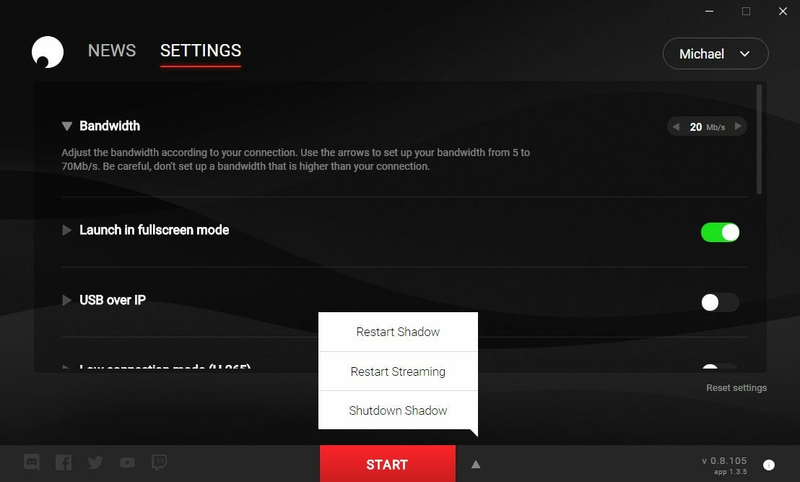 Unlike more high-profile game streaming services from NVIDIA and Sony PlayStation, you don’t actually get any games to go on your Shadow machine. 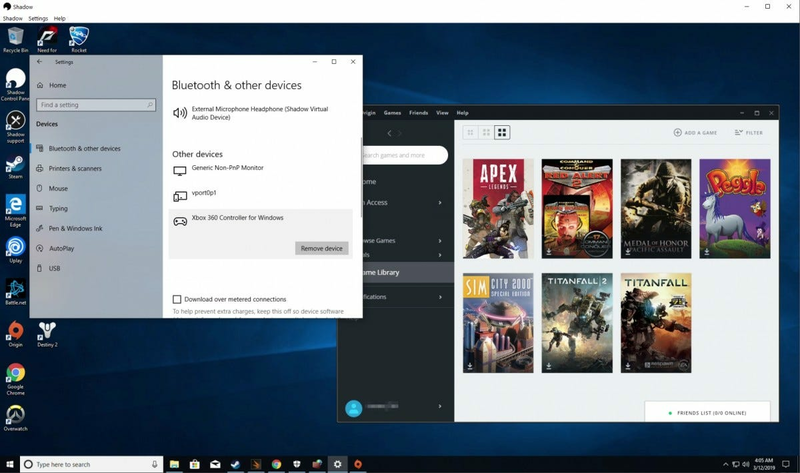 It comes pre-installed with game store clients like Steam, Origin, and Uplay, and it’s compatible with anything that runs on Windows, up to and including the newest titles. But you’ll have to provide those titles yourself, downloading and installing them manually. 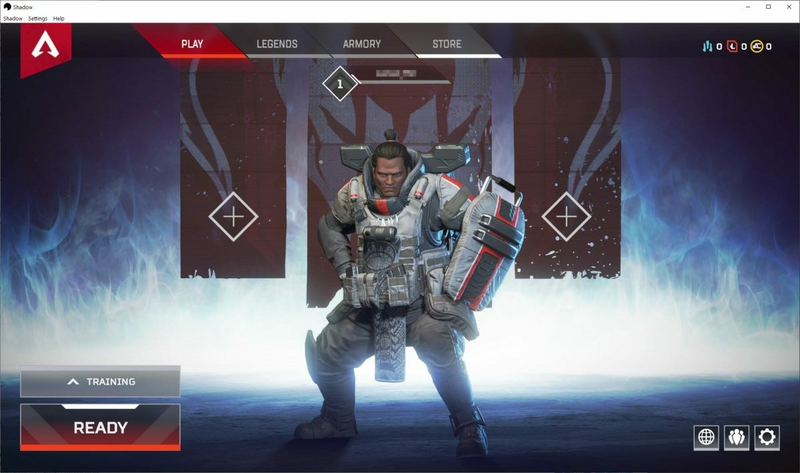 This is an advantage if you already have a huge library of PC games, but if not, you’ll be searching for some free stuff like Apex Legends. Another thing that Shadow doesn’t provide is a game management interface. The connection works more or less the same as any remote computer access system: log into Shadow’s service, and you’re presented with a standard Windows 10 desktop in either fullscreen or windowed mode. Switching between those two is easy, but actually managing your Shadow computer is more or less impossible without a mouse and keyboard ready to go. That’s an important point. 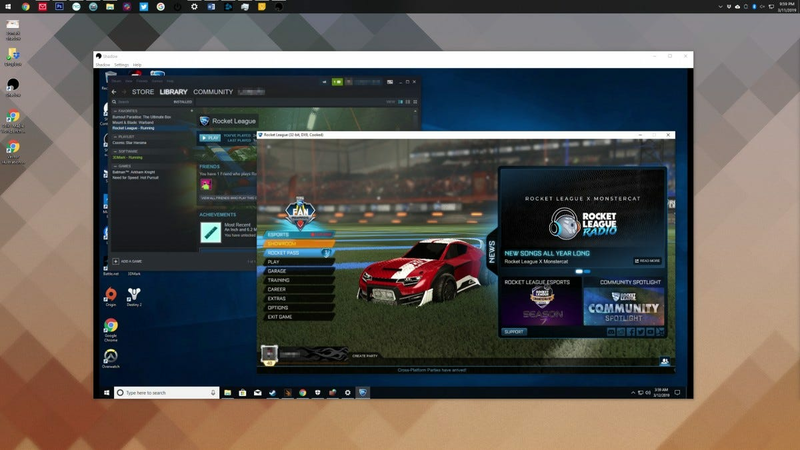 Stream your Steam library from your office to your living room TV, and you get Big Picture Mode, which is easy to navigate and even modify with a controller. 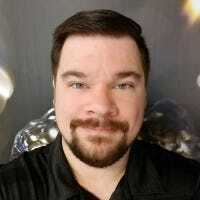 Something similar if less robust is true for GameStream and GeForce NOW on the NVIDIA SHIELD, or PlayStation Now on any of its connected apps. In Shadow, you get a computer, nothing more and nothing less. Just launching the programs without at least a mouse connected is a pain, making the service extremely cumbersome to use on anything that isn’t already a computer. That includes the Ghost set-top box…but more on that later. The lack of an easy-to-navigate game launcher for either taps or controller input is easily the biggest downfall of the service. Shadow sells itself on being accessible from phones and tablets—it’s all over the advertising—so the fact that it’s harder to use from a phone than, say, Chrome Remote Desktop is downright embarrassing. If the service was being presented as merely a powerful remote computer, that would be one thing. But this is supposed to be a gaming machine, accessible from anywhere…and accessing the actual games on anything except a personal computer is a headache. Shadow works best as a program that super-charges a low-power laptop or a desktop, like, say, a bottom-tier MacBook Air or one of those tiny ThinkPad workstations. The interface, when in fullscreen mode, is indistinguishable from normal Windows. On my 100 Mbps connection, I was able to play fast-paced games like Overwatch and Rocket League without any noticeable lag. My connection usually has about 20 milliseconds of ping, but the connection from Shadow’s data center to the multiplayer game server was practically instantaneous, so I couldn’t spot any additional lag. It’s impressive visually, too: I happen to use a GeForce GTX 1080 in my desktop, and playing DOOM (2016) at 1080p and 144Hz was almost exactly the same as playing it locally. Shadow can go up to 1440p, the max resolution of my monitor, but then it drops down to “only” 60 Hertz. The colors blend a bit, more so if you try on a slower Wi-Fi connection or while doing uploads or downloads in the background, but much less dramatically than when using something like Gamestream. That brings up the subject of your local hardware. Depending on your setup, you might not be able to take advantage of all of Shadow’s bells and whistles, but some of it won’t be accessible no matter what you do. You’ll want a decent mouse, keyboard, and gamepad in order to get the most out of your games, and a good, fast monitor (1080p at least, 144 Hz if possible) helps too. But Shadow can’t take advantage of more than one monitor at a time, at least in its current incarnation, and I only ever got stereo sound from the service. Its bridging system for accessories is a little weird—best to set up custom input settings on your local machine and let Shadow deal with only default drivers. But it handles controllers well, and I suspect that and basic keyboard and mouse input will suffice for most gaming applications. And what if you’re not gaming? I transferred my copy of Photoshop to the remote Shadow PC, and was able to use it just like I normally do. It seems like you can set up the remote Windows installation with whatever programs and tweaks you like, so long as they don’t need access to UEFI/BIOS or more complicated hardware like a capture card. It’s just a shame that there’s no native way to access Shadow from a Chromebook at the moment (the Android app technically works, but it’s less than ideal). I’d be tempted to pay the monthly fee for that program alone. What About the Shadow Ghost? Sorry, that’s a bit flippant… but the Ghost is not a great product. 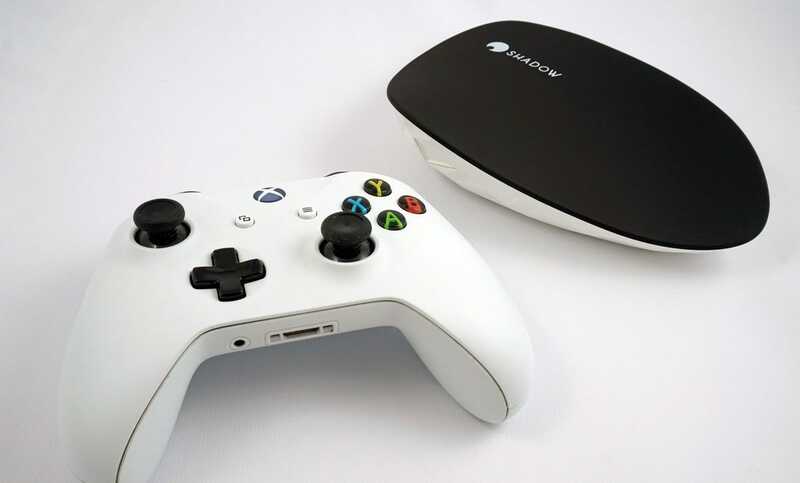 After several hours of testing, I was frequently beset with connection issues, primarily failures of the streaming interface to recognize my mouse, keyboard, or Xbox controller, sometimes multiple at once. Which is a big problem, since like the computer UI, there’s no way to intuitively use the remote Windows machine without a conventional mouse and keyboard. That’s a shocking failure. The Steam Link box (now discontinued) showed how to do this the right way years ago, and doesn’t even need a mouse or keyboard to get everything up and running. It doesn’t help that, in order to exit the remote Windows streaming setup and go back to the Ghost’s minimal setup menu, you have to physically press the button on the box…which makes it inexcusably cumbersome as a gadget meant to live underneath your TV. Streaming of the games themselves was also considerably poorer than on my full PC, even when I used a hard Ethernet cord for an ideal connection. Lag was minimal, but it seemed that the Ghost was severely limiting the streaming bitrate and resolution in order to achieve that. Between the input and connection issues and the very limited options for settings of the hardware itself, it’s just not a good way to play games, PC or otherwise. 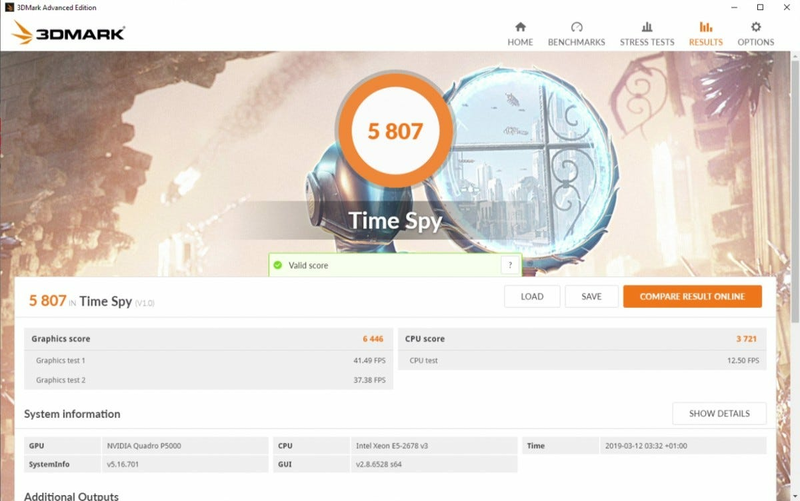 Shadow is a platform that shows a lot of promise, but at the moment the only people really interested in using its gaming features will be mostly invested in their local machines anyway. If Shadow can make a game browser and a set of tools to make mobile or tablet play more comfortable, it might make good on that promise. Right now, it’s an interesting way to get a ton of power out of a low-power machine, provided you have a high-speed connection and a little disposable monthly income. The good news is that it’s something that’s fairly low-risk to try out: if you live in one of the supported markets, you can try a month of Shadow for $35 on unlimited machines with no contract. Just avoid the Ghost hardware unless its minimalist software gets much, much better. An option to pay more for more storage, RAM, or a newer GPU wouldn’t hurt, either.